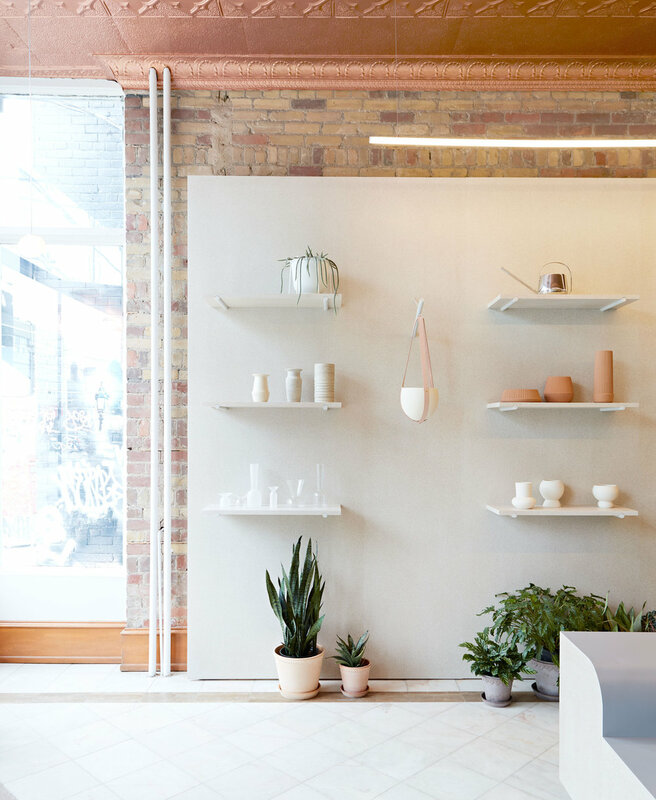 Flùr - Toronto — Addicted To Retail, Inc.
Addicted To Retail (ATR) presents: Flùr - Toronto. 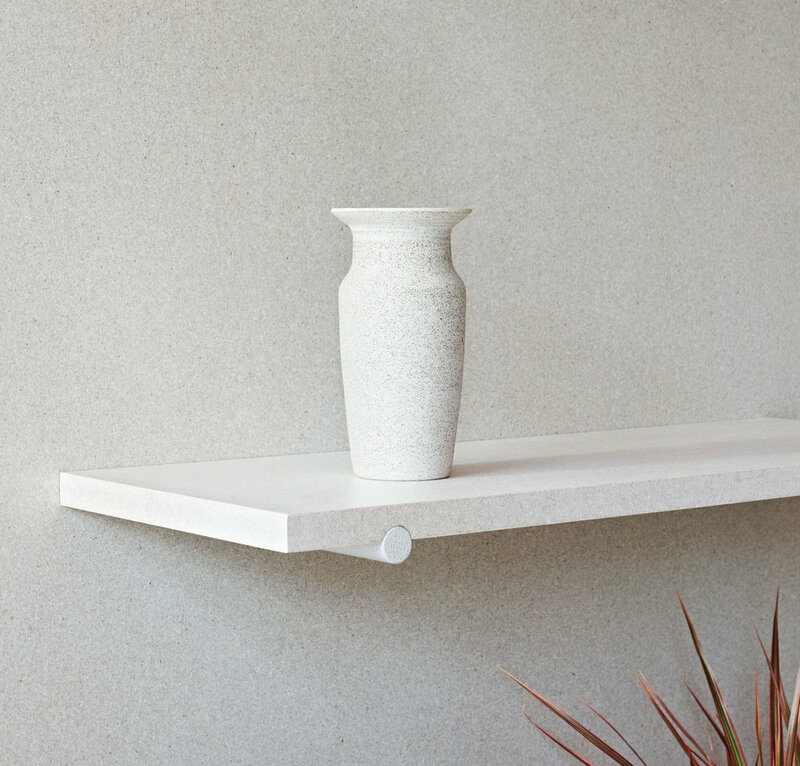 Flùr is a minimalist design created by Toronto-based designers MSDS Studio. 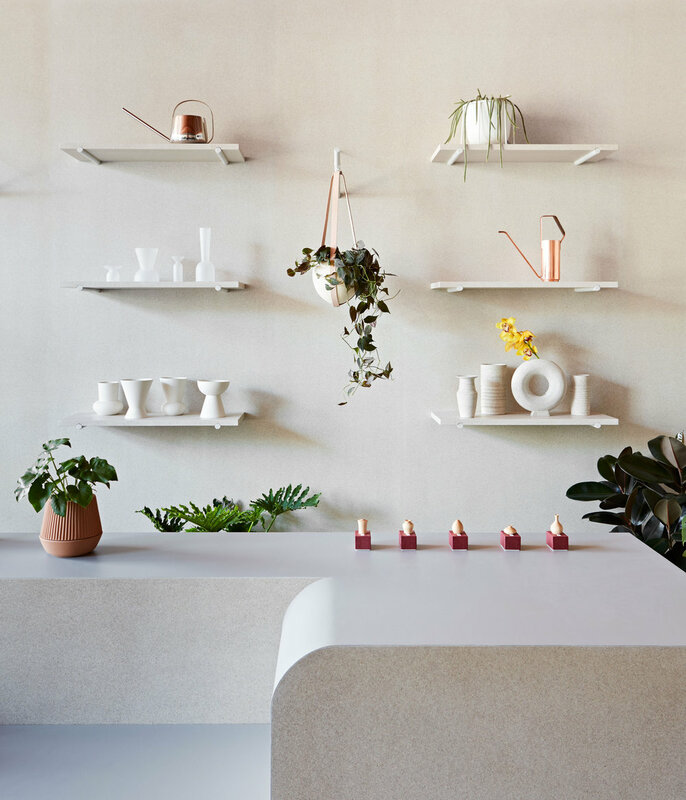 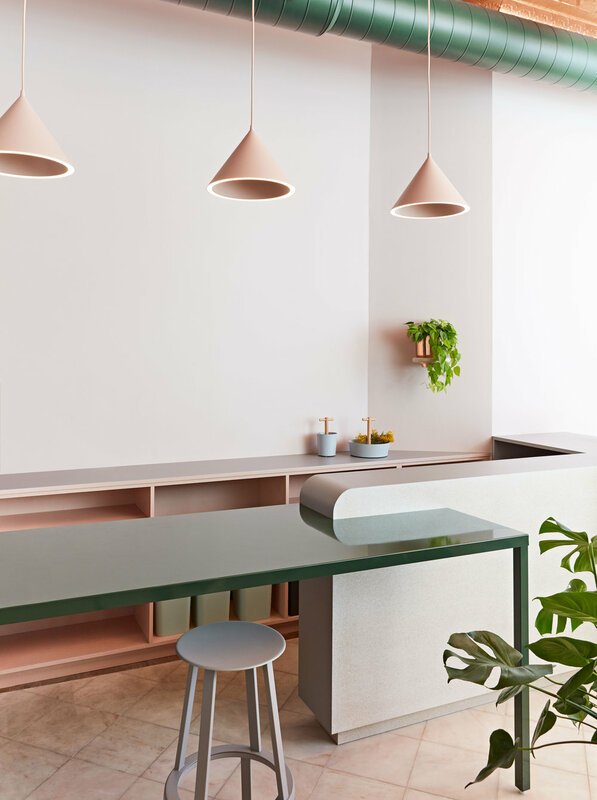 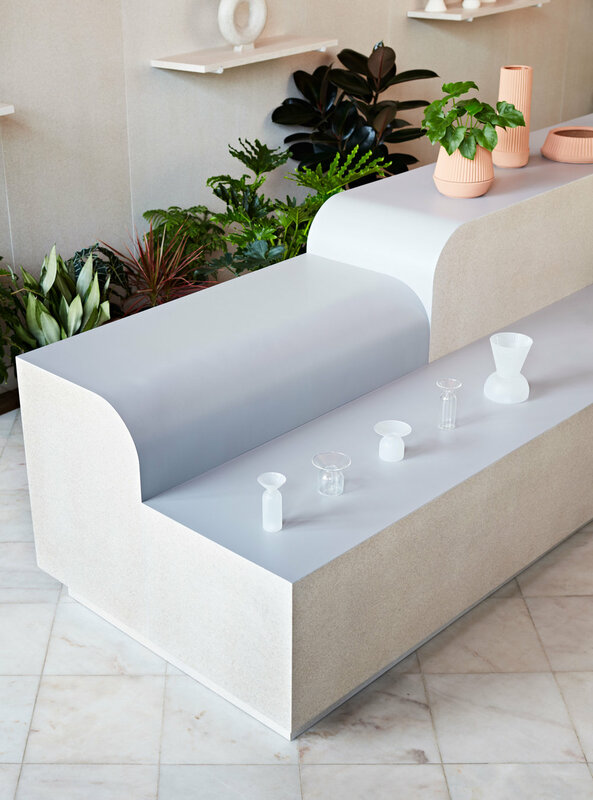 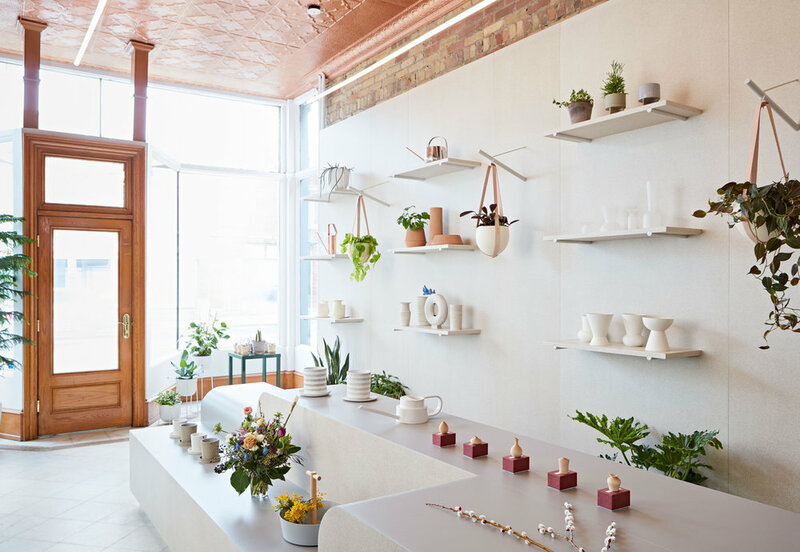 Flùr uses readily available sheet materials, linoleum and particle board, to form a soft and neutral backdrop for seasonal flower arrangements and ceramic wares. 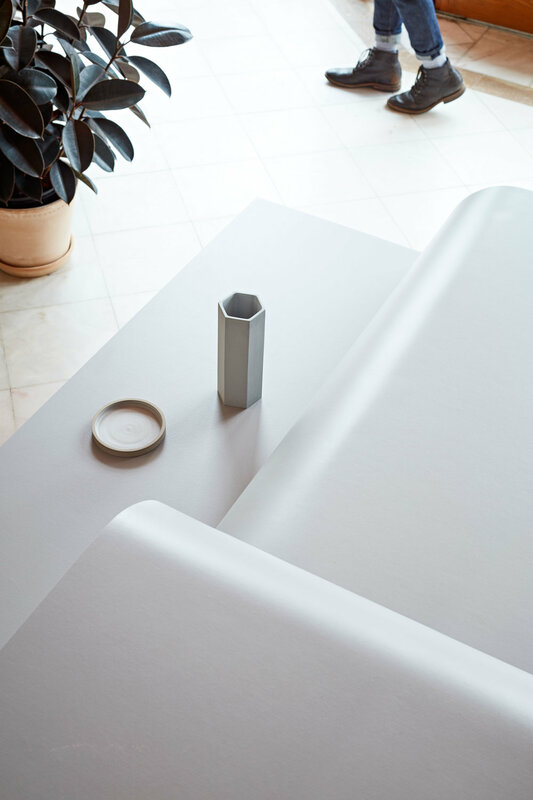 The pliable properties of linseed oil linoleum are manipulated to form an inviting landscape within the existing envelope, while particleboard is applied in a refined manner to express its visual tactility.